I hate when it’s time to print my girls some coloring sheets or that document I need to scan and I get that dreaded message that says “Low Ink”. Bundling up my kids, starting the car and driving to the store across the city is not my idea of fun. It is such a waste of time, very precious time. We just got the HP Envy 7640 e-All-in-One printer and got our first ever subscription to HP Instant Ink. So what is Instant Ink. What is Instant Ink? Well with this awesome printer we have, we can print in vibrant colors with a set amount of pages every month and not have to worry about running out of ink….ever. 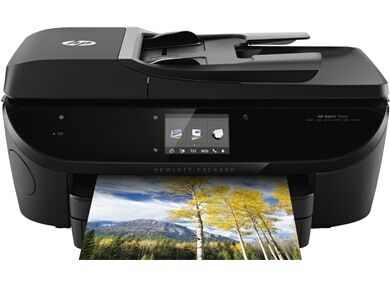 The sleek HP Envy 7640 with 2 sided capability printing and wireless printing capabilities from the computer or smart phone is so incredibly awesome! Head on over to the HP Instant Ink site to see if your HP printer qualifies for the HP Instant Ink Program. Select the amount of printing you think you will use in a month and sign up. It is that simple. Shipped to your door monthly, you’ve got nothing to lose. Your printer will communicate with the HP Instant Ink program and based on your needs you will never run out of ink. As needed Ink will be shipped to your door with a return envelop for your used cartridge ready for recycling. And the great part about this program is you can roll over pages you did not use at no charge!! If you have a 100 page a month program and you only use 75, you now have an extra 25 you can use next month. WooHoo!! Your savings with getting your ink directly from HP will be very noticeable. The Instant Ink program uses larger ink cartridges so you need less. For frequent printers this could add up to $624 a year in savings. Be sure to check out this program for your HP printer. This is a win win, you will no longer have to worry about running out of ink and saving you money and those frustrating trips to the store to try and weed through all the “deals” and millions of options. Now that you never have to run out of ink again, here is a Free Printable for you to print off just in time for Christmas. For the past few Christmas seasons we have focused more on the joy of Christmas and less packing a tonne of gifts under the Christmas tree. Not only have our girls enjoyed this tradition, I have to admit that it makes Christmas shopping a lot easier. Click on the image to get your free Christmas Wish List Printable or Pin the image to save it for later. Stay tuned for next week when we share about the HP printables apps, another awesome free printable and a giveaway you wont want to miss. We hope you enjoy these free printables. With HP Instant Ink you will #NeverRunOut because your ink will be delivered right to your door! This post was brought to you by @HPCanada – all opinions are my own. Great printable! And the HP Instant Ink Program is just genius. Thank you for sharing. 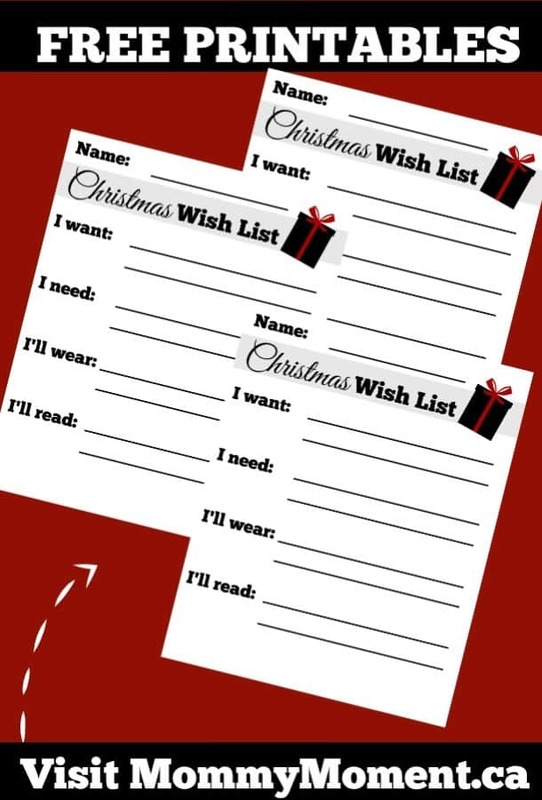 I really like this wish list! I love these lists! I’m going to print them out for my family this year. This would be perfect for my grandchildren! This is a great for both kids and adults. It will make them focus on needs vs wants. Thank you for the information about HP Instant Ink. I didn’t know about that. The printable looks great as well. Love the “I’ll read”. The Instant Ink thing is a good idea. I always scramble to find some place that actually sells the cartridge I need in my town. Printable looks great for the kids. How wonderful to have a printer which can never run out of ink. Great program! I get so excited over printables! Plus I love these because they are about the necessities in addition to the one “wish” present. HP printers are awesome. I so badly need a new printer. Mt last HP printer has finally stopped working. I had very little to no problem with it and will gladly get another HP product. This is perfect! Thanks for sharing. What a great idea. We should have handed these Wish List to our family members and then put them in our gift buying bowl. At least we would get something they really want. Love this giveaway. large amount of printing. I thank you so much for your free printables. They are so timely and useful. . These printables are great. Great idea!